Engaging new audiences to serve more people and places. 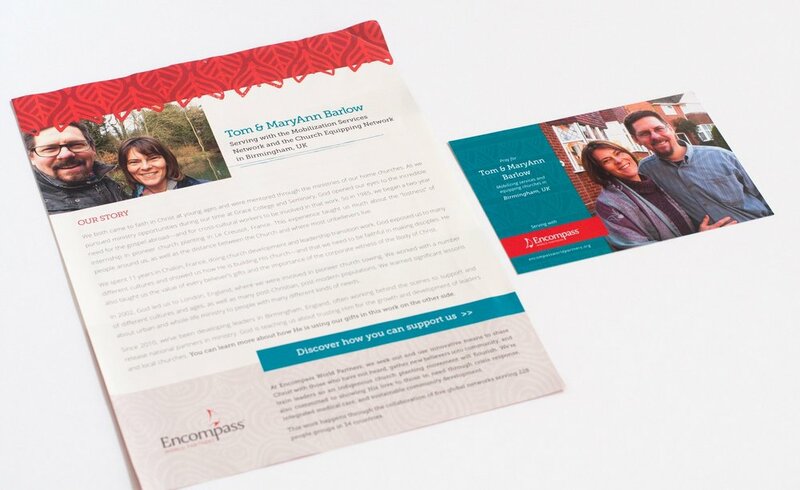 Encompass World Partners has equipped and sent missionaries to serve least-reached people and places for more than 100 years. Their work includes church planting, pastor training, crisis response, and community development. The communication challenge: Encompass was at a point of significant change. That included a reorganization of workers, the need to recruit a new generation of potential recruits, and messaging that didn't resonate with or reach the right audiences. Kumveka's solution: As Encompass' strategic communications partner, our team assessed their brand and then developed a wide variety of effective marketing tools that positioned them for continued growth and clear communication.